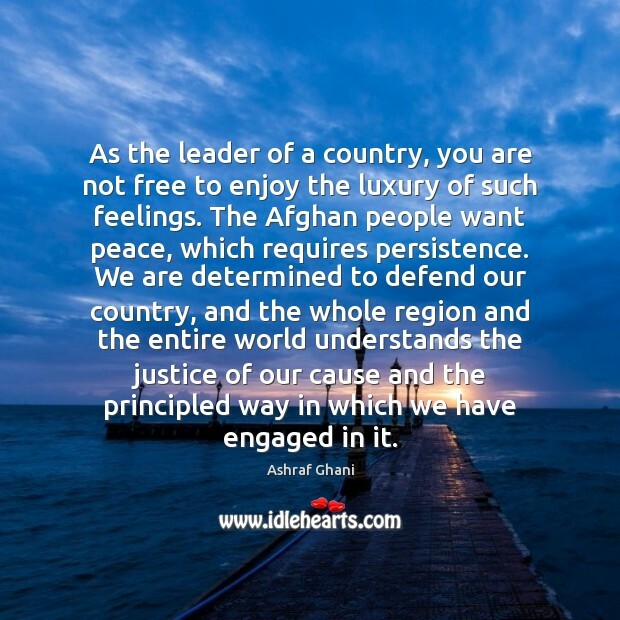 Quotations about Afghan People. Quotes to stimulate mind and drive action! Use the words and quote images to feed your brain inspiring things daily! As the leader of a country, you are not free to enjoy the luxury of such feelings. 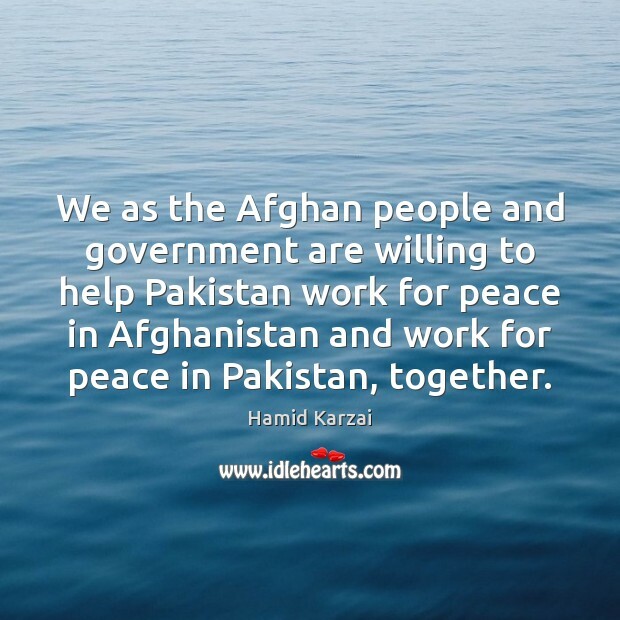 The Afghan people want peace, which requires persistence. 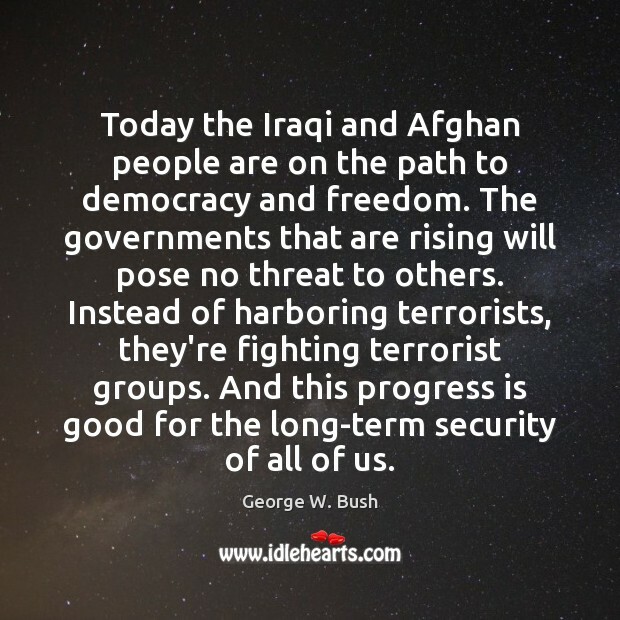 We are determined to defend our country, and the whole region and the entire world understands the justice of our cause and the principled way in which we have engaged in it. 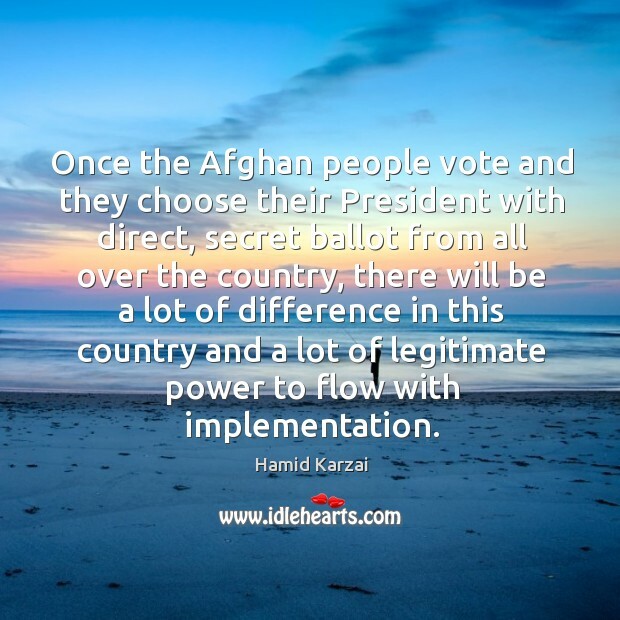 I mean,you will have an Afghan government. There are two roads here. One is obviously a run-off election or a negotiated settlement. But what's most important about that process is that there's a credibility and a legitimacy to the government at the end of that process. So which road they choose, that's up to them. 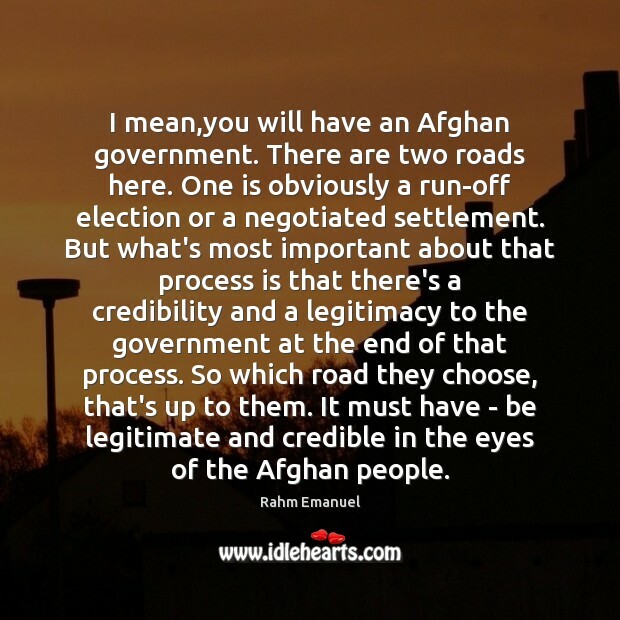 It must have - be legitimate and credible in the eyes of the Afghan people. 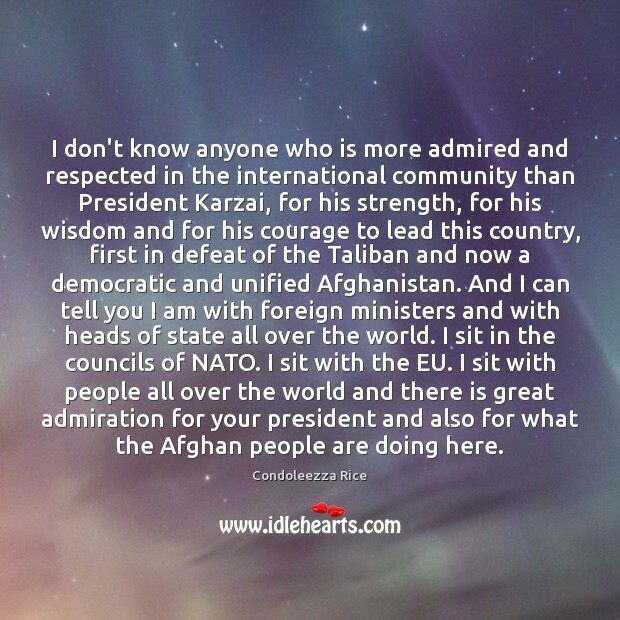 In the Afghan people, I found the most resilient, welcoming people who, for the first time in my career, never judged me over my right to tell this story - as a woman or a foreigner. A people who cherish their culture and history and the films that have captured that culture. 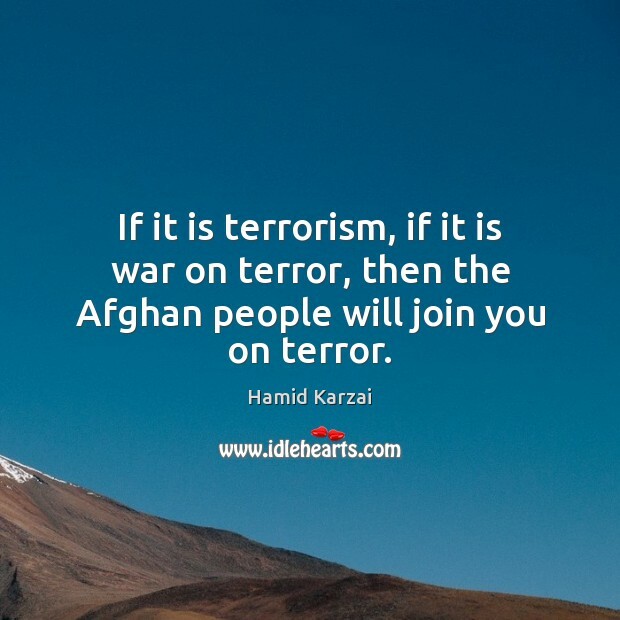 But the war on terror as I have repeatedly said in the past, and the Afghan people believe in it, in truth, is that the war on terror is not in the Afghan villages or homes. Its in the sanctuaries, it is in the training grounds, its in the motivation factors and the money that comes to it. 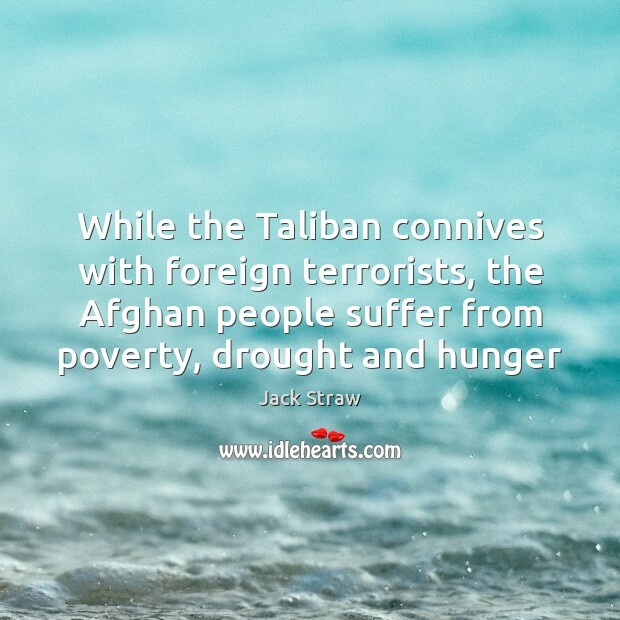 If American forces leave Afghanistan, the Taliban is going to do what to America? 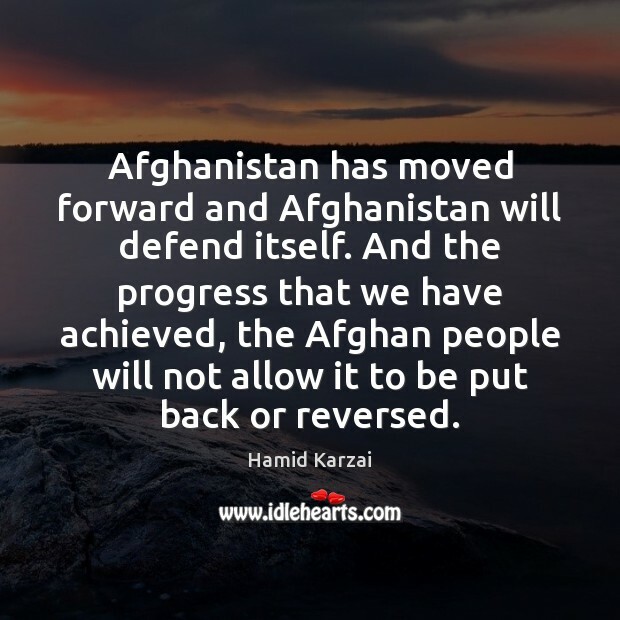 Don't say you're worried about what they will do to the Afghan people. 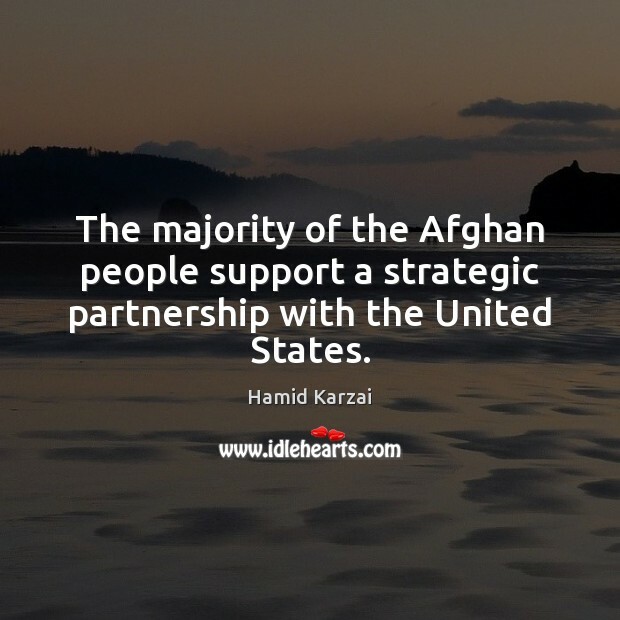 If that was America's concern, America's operational presence there would be much different. 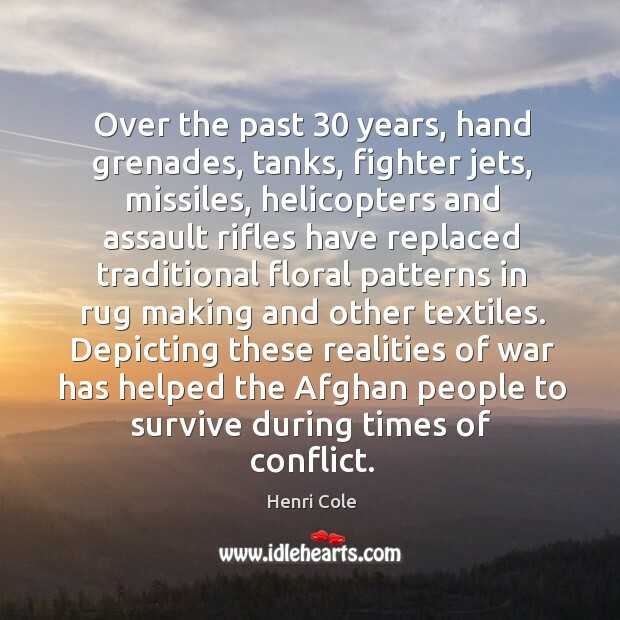 Over the past 30 years, hand grenades, tanks, fighter jets, missiles, helicopters and assault rifles have replaced traditional floral patterns in rug making and other textiles. 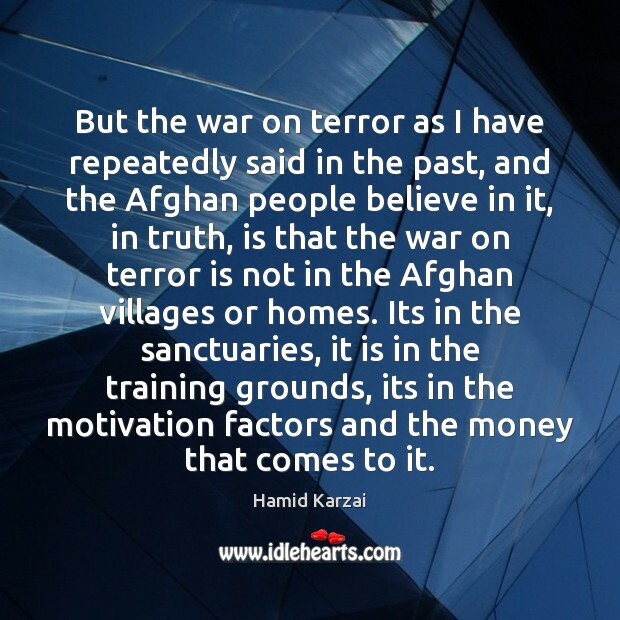 Depicting these realities of war has helped the Afghan people to survive during times of conflict. 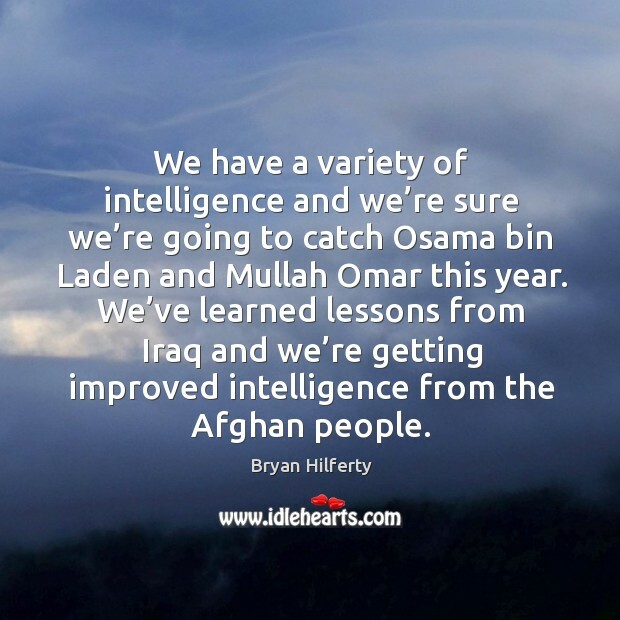 We have a variety of intelligence and we’re sure we’re going to catch Osama bin Laden and Mullah Omar this year. 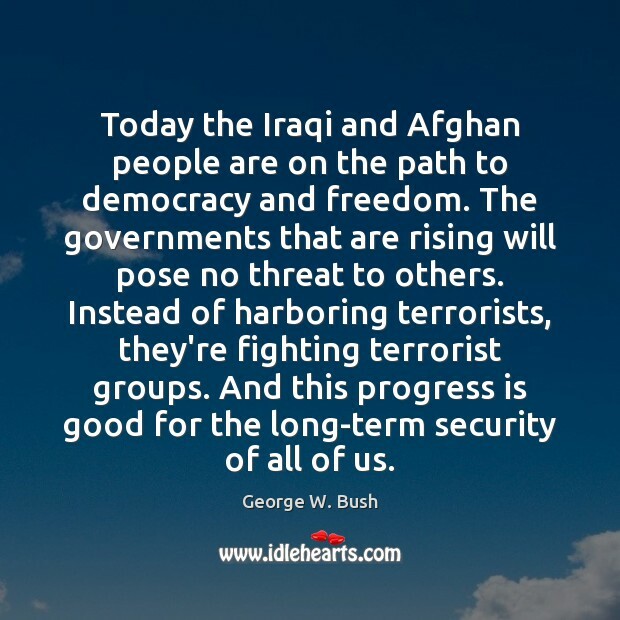 We’ve learned lessons from Iraq and we’re getting improved intelligence from the Afghan people.